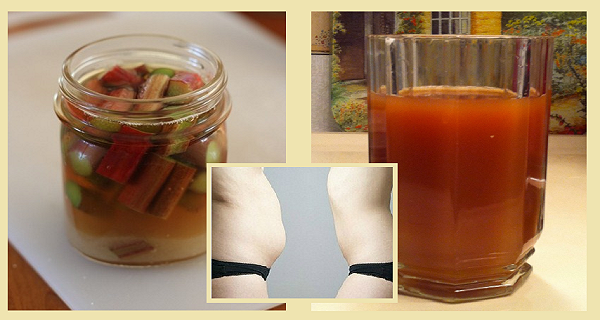 Apple Cider Vinegar is the best natural treatment for excess weight. Apart from stimulating weight loss, it speeds your metabolism and improves your immunity. Best of all, it’s completely natural and extremely health beneficial. Organic apples are most suitable for this recipe, which is best consumed unfiltered and unpasteurized. The preparation is quite simple and time-effective. There are a few methods of preparing homemade apple cider vinegar. You can either use the whole fruit or you can eat the flesh and use the leftovers including the peel and the seeds. The second method is faster than the first one as it takes only two months to get your homemade apple cider vinegar. For this, you’ll need a large glass jar, the apple leftovers and thick gauze. First, you leave the apple leftovers outside until they get brown. Then you put them in a jar and fill it with water. As you may add some more apple leftovers in the following days, it’s best to leave some space in the jar. Cover it with gauze and leave it in a warm, dark place. In a few days you will see that the content of the jar gets thicker and a grayish layer i.e. fungus, forms on the surface. When you see this, don’t add apple leftovers any more. Leave the mixture for a month (or more) to ferment. After a month, you can start testing the vinegar. Try it so as to make sure it is strong enough for you. If it is, remove the fungus, strain the mixture and pour the vinegar into sterilized bottles. Don’t worry if the vinegar is cloudy, because there will be some apple sediment. In case you don’t like this, strain it through thick gauze. The method that includes whole fruits to make vinegar is almost the same. First, slice the apples, put them in a jar, then pour some water and leave it covered with gauze in a dark, warm place. However, this method takes about 6 months. The fungus that appears can also be used as a compress in treatment of various inflammations. After 6 months, strain and pour the liquid into a larger jar and leave for another 4-6 weeks covered with gauze. Then it’s ready for use. Every morning dilute 2-3 tsps. ACV in a glass of water. Drink it on an empty stomach. You can also add 1-2 tsps. honey to improve the taste. A number of factors contribute to successful weight loss, such as diet, physical activity and last, but not least, genetics. No matter what contributes most to your excess weight, ACV will stimulate the breakdown of fat. On the average, you can lose five pounds a month and another ten pounds within a year if you stick to this dietary regime.